He was interested primarily in development so this recipe is for a typical development machine. For developers, Windows is a very productive environment. This is not just for Windows development on the Microsoft stack but for development targeting most typical web / mobile clients and server backends. I’ll just break it down into two quick sections: things to install and developer productivity within Windows. If you purchased a computer that wasn’t “Signature Edition” wipe and reinstall Windows using your included key and media for the appropriate version. Bloat is a mess and WHQL drivers are usually trustworthy and stable enough with the exception being graphics drivers. Know your IDE and the keyboard shortcuts that it has specific to Windows. The Home/End/Page Up/Page Down keys are your friend. I work for Google and am very familiar now with their apps workflow. All my stuff is in Google assets linked to a Google account that is connected to my Chrome profile. For cloud living on Google’s ecosystem, Chrome’s essential. 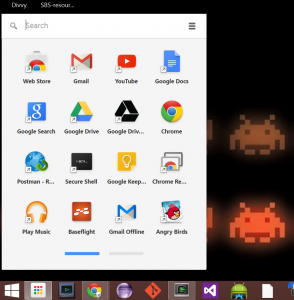 Bonus, you can add the Chrome app launcher to your start menu and get a “Start menu” like experience for Chrome apps. I usually also add rxvt because the terminal window is resizeable horizontally unlike the default command window. Sometimes, the git client from Cygwin is broken so I end up with a random install of Mingw and Git. 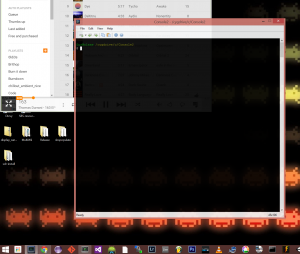 After installing cygwin, I “move in” by copying my bashrc to the usual places. Sublime is not my favorite editor but it is a great default and in particular Sublime is a reliable default text editor. I love Windows snap but because I’m now using Linux and OSX as well, I have become accustomed to more advanced window management. As such, I install Divvy everywhere and map my keyboard shortcuts to be consistent from machine to machine for window management. Alt-drag window behavior is correct, this can not be debated. I various Netduino and .NET projects and Visual Studio is tip top as far as IDEs go. For most at home projects, VS Express is enough. When using visual studio, there are a number of useful plugins, but one I always add is CodeMaid. I loves me some cygwin but VirtualBox gets me anything that I can’t get with it. For example, I built Android recently and this is a task made much simpler with package managers. I typically run Ubuntu in VMs because it’s well supported. I write Android apps so Android Studio is the cat’s meow. The Windows installer is pretty straightforward. I code late, flux is helpful in keeping me from getting eye strain and helps me sleep after a late night.